Bell’s 3 Game Suspension: Fair or Unfair (Poll) | "IT'S A STEELERS WORLD"! 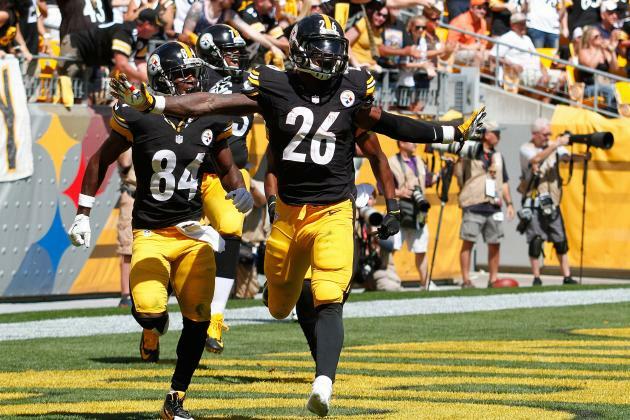 ESPN’s Adam Shefter reports via twitter that Pittsburgh Steelers running back Le’Veon Bell will be suspended three games and fined an additional game check for violating the NFL’s substance abuse policy, FOX Sports 1 NFL Insider Mike Garafolo confirmed Thursday. Bell, who was arrested and charged with DUI in August, is currently in the appeals process, Garafolo confirmed. Bell ran for 1,361 yards and eight touchdowns in 2014 and was named to the Pro Bowl. Bell was sentenced to 15 months of probation in a first-offender’s program in February stemming from his arrest on marijuana possession and DUI charges with former teammate, LeGarrette Blount.